Do you constantly search for a home workout for weight loss or maybe just a basic workout?Ever wondered about having your own home gym maybe? How about gym equipments on rent? Long hours of work and no time for a workout, what even is this thing called “Work-Life” Balance? Well, don’t we all know that struggle.. Working 9 hours on the daily and then physically forcing yourself to the gym can be exhausting. After spending all the energy in your office, who even has the time to go out and be pepped up for a workout session? And after all that to force yourself to go to gym and deal with the crowded space is even more troublesome. Let’s be honest, working long hours is tiring and no matter how badly we want to have that toned body, most of us fail to hit our new year’s fitness resolution right. Luckily anyone can achieve a great body and burn fat by working out at home and following a good diet plan (which most forget about). The biggest benefit of ditching the gym and working out at home is the amount of money that is saved monthly, which can, in turn, be spent on a good diet plan. You won’t have to despise the bad playlist at the gym and have the full authority to play your own jams. You can literally decide the time for your workouts instead of following the gym hours. Working at home indeed provides a lot of benefits but keep in mind that working alone won’t help you achieve the best body in your life; you’ll have to pay attention to the diet as well. Along with those essential factors like the quality of sleep you are getting also matters. With that being said, go on and sweat it out! Always and always start with a warm-up, do light exercise which opens up your tensed muscles and just helps you in preventing cramps when you actually get into intense workout sets. Do cardio, at least 15 mins – it really gets the body pumping and helps in preparing for the high-intensity workout. 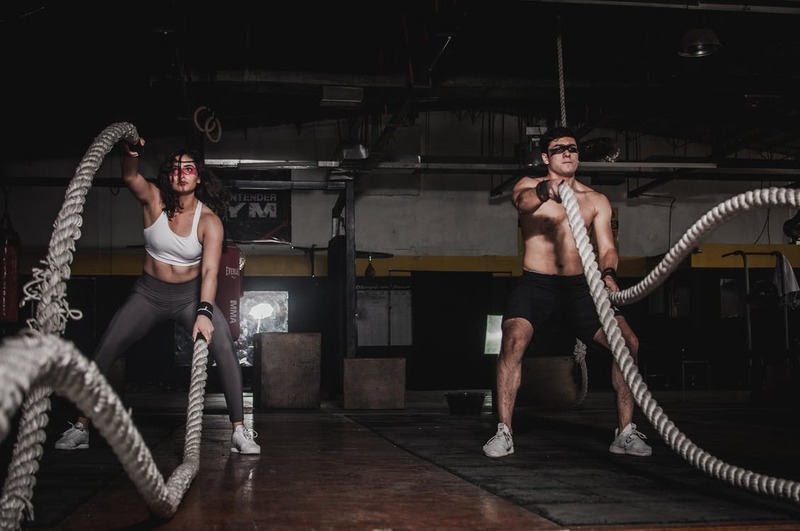 Now most people stop at cardio and expect gym like results which is not realistic since you are ditching the proper training you have to put in more effort to achieve the ideal body. Cardio workout at home is good for initial weight loss or for maintaining one but if you want those celebrities like toned abs or calves, you have to put in the hard work as well. So why not give bodyweight training a try and be more efficient with your time? It can be intimidating but only if you don’t do it right. But since we are talking about saving money then it doesn’t make sense to go out and buy the gym equipment just for your home, right? It will only end up costing you more than a regular gym membership would have cost. So what could be a better option in this day and age? Let me tell you, IT IS TO RENT IT OUT! Yes right, rent out your home gym equipment so that you save money and won’t have to worry about their maintenance either. Getting treadmill on rent is a great way to stay in shape; it keeps your heart healthy and provides an all-round cardiovascular workout. Cross trainer works out your upper and lower body while maintaining the low-impact workout, so rent a cross trainer for a quick warm-up or good cardio. Cycling targets most of the muscles in your lower body and getting an exercise cycle on rent is a great option for strength training. Home gym machine saves time and helps in following a proper schedule to focus on muscles and strength training. And don’t forget, along with your body at workout home routine, you need to make sure you’re eating properly! Because, a good workout and crappy diet won’t get you results. Don’t work out just to lose weight instead make a healthy lifestyle change.